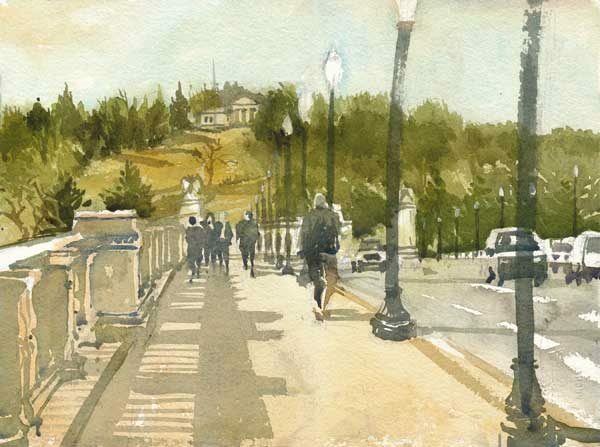 This impressive bridge defines a broad avenue that connects Arlington Memorial Cemetery with the DC Mall at the Lincoln Memorial. This vista with late day shadows sprawling across the roadway makes an ideal painting subject. The distant mansion completes the composition.